Willy-Adopted! | One Dog More! This 8 pound bundle of joy is Willy. 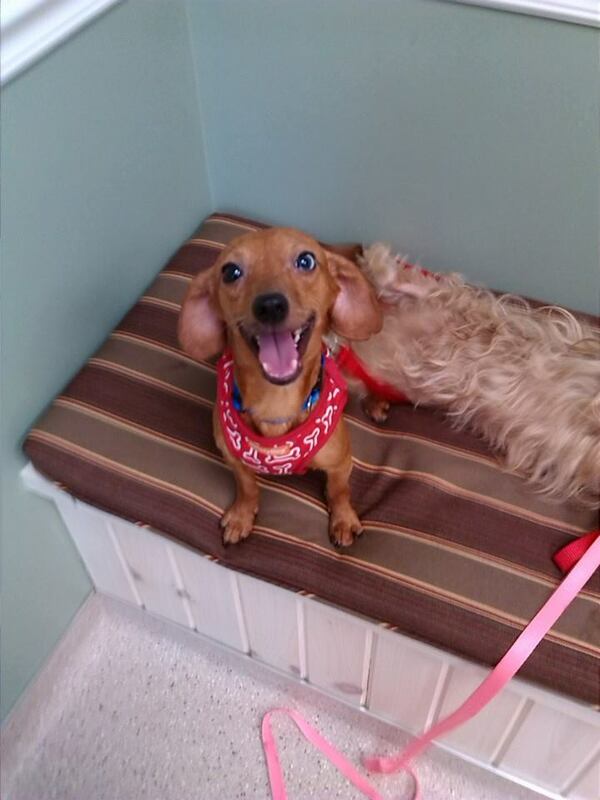 A 2-year-old tan Dachshund that loves to play. He will wear out anyone willing to spend time with him between playing and cuddling. Good with other dogs but can be bossy. Willy was rescued along with Polly due to a hoarding situation. He is up to date on shots and heartworm tested. He is also neutered and microchipped. Nancy, I love all the pictures of the doggies you rescued. Is Willie good with cats. He has not been cat tested yet.